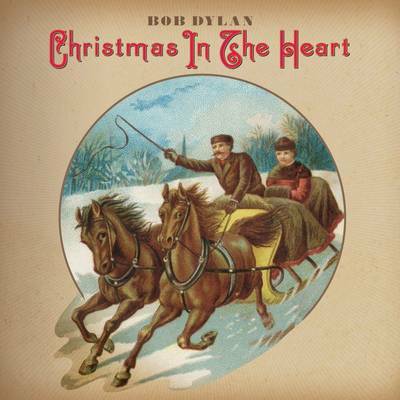 ￼Bob Dylan has done a Christmas album in which he covers a number of classic songs. The album is available in vinyl, as well as CD. I ordered the CD with greeting cards. The 5 cards are the album cover. The lady over to the left is part of the album art as well. She’s Betty Page, the 50s pin-up model. Wouldn’t she make a lovely present to find under the tree? Dylan is great in many ways, but lets face it, he does not have a good voice. There’s a lot of raspiness there, and his tone is not melodic. I’ve heard the album once so far, and it may grow on me. Dylan covers Have yourself a Merry Little Christmas. Now for some reason I’ve always thought that the title sounded like something one person says to another to the accompaniment of slamming doors. It premiered in the 1944 movie Meet Me in St. Louis, and was sung by Judy Garland to Margaret O’Brien. Garland’s version is pretty, wistful, and melodic. Garland had a good voice, and, as I’ve said, Dylan doesn’t. The raspy quality of his voice does make it a little less romantic. Another cover is O Come All Ye Faithful, or Adeste Fidelis. Back when I lived in Reston my parish, St. John Neumann, had a choir that was among the worst I’ve ever heard, and picked the worst music for the service. Yet the congregation, to my dismay, would applaud at the end of the service, to which I would respond by whispering to my wife, “Don’t encourage them.” I’m not sure how the congregation would respond to Dylan’s performance here, but his performance is not one that you’ve heard before. Dylan mixes the pop classics, such as Here Comes Santa Claus, Winter Wonderland, and Must Be Santa with religious songs such as Hark the Herald Angels Sing, O’ Little Town of Bethlehem, and Adeste Fidelis. With repeated listening, the album will probably grow on you. Dylan, when all is said and done, is still a great musician, and even his worst efforts beat many people’s best ones.